By winning both games of a home double-header against the Fighting Falcons (28-22, 20-12) of Fairmont State University on Sunday afternoon, the Rams (28-21, 24-8) won the MEC North Division Title. In both games, the Rams won by 7-1 scores. 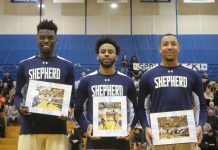 Clinching the MEC North Division Title on Senior Day was especially rewarding for the Rams, culminating a season’s worth of hard work. In game one, the Rams got off to a great start, scoring four runs in the bottom of the first inning. Junior infielder/outfielder Chase Hoffman got the scoring started for the Ramsin the bottom of the first inning by reaching first base on an error by the Fighting Falcons’ shortstop. Hoffman was credited with a RBI on the play, as freshman outfielder Brenton Doyle came in to score to put the Rams up 1-0. Senior outfielder Ron Farley delivered a RBI single later in the inning that fellow senior outfielder JJ Sarty converted into the Rams’ second run in route to a 2-0 lead, still in the bottom of the first inning. Farley and Hoffman would score later in the inning courtesy of the bat of senior infielder Brandon Kirk, who sent a double down the right field line to bring them home and stretch the lead to 4-0 before the Fighting Falcons could blink. 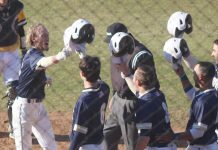 In a game where the Fighting Falcons could not get their offense going off of the Rams’ junior starting pitcher Ryan Pansch (W, 8-0), the four errors that the Fighting Falcons’ defense committed proved to be too overwhelming to overcome. The Rams converted these four errors into four unearned runs. Pansch (4.0 IP, 1 H, 0 R, 0 ER, 1 BB, 6 SO) was another large reason the Rams dominated. Allowing just two baserunners in his outing, to say the Fighting Falcons did not get into a rhythm offensively was an understatement. In the bottom of the third inning, Kirk came to the plate again and sent a pitch to left center field that drove home Farley to give the Rams a 6-0 lead. The day could not have been summed up better for the Fighting Falcons when a passed ball allowed sophomore outfielder Reid Entsminger to come in and score the seventh and final run for the Rams. First baseman/outfielder Jacob Whitmore scored the only run for the Fighting Falcons in the top of the seventh and final inning, as outfielder Fraser Brown launched a RBI single to right field to cut the lead to 7-1. However, the Rams had already built a substantial lead, winning 7-1. Game two was essentially almost the same outcome in every way as game one, as the Rams won this contest by a 7-1 score as well. Brown scored the Fighting Falcons’ only run of the game courtesy of his teammate outfielder/pitcher Austin Norman, who sent a RBI single to center field in the top of the sixth inning. This would not be enough, however, as the Rams were still up 5-1 at this point. Any time the Fighting Falcons got a runner on base, often times he would end up stranded there as his teammates could not bring him home. 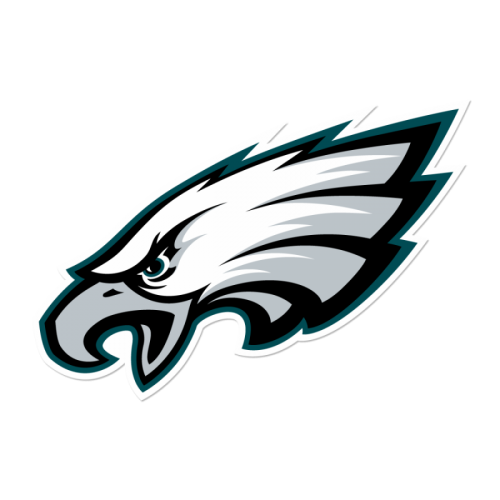 The Fighting Falcons had a number of chances, but were not able to execute a large majority of them. Luke Paull (L, 5-3) got the start for the Fighting Falcons, Paull (5.0 IP, 9 H, 5 R, 5 ER, 3 BB, 1 SO) never really got comfortable against the Rams’ lineup, as they got the best of him at times. In the bottom of the first inning, the Rams took a 1-0 lead when Hoffman grounded out to the Fighting Falcons’ shortstop, but recorded a RBI as Doyle came in to score. Sarty would also be sent home to score later in the inning, this time off the bat of Farley, who sent a RBI double to right field to give the Rams a 2-0 lead. The lead would grow to 5-0 for the Rams in the bottom of the fifth inning, as Kirk doubled to right center field and brought home Entsminger and Farley in the process. Senior infielder Jacob Carney also came through on Senior Day with his single through the right side that freshman catcher Joe Burack converted into another run for the Rams, as they now led 6-1 in the bottom of the sixth inning. 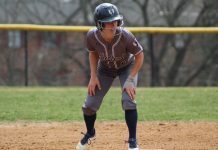 Burack would score in the bottom of the eighth inning as well when Doyle was issued a bases-loaded-walk, increasing the lead to 7-1, which would be the game’s final score. 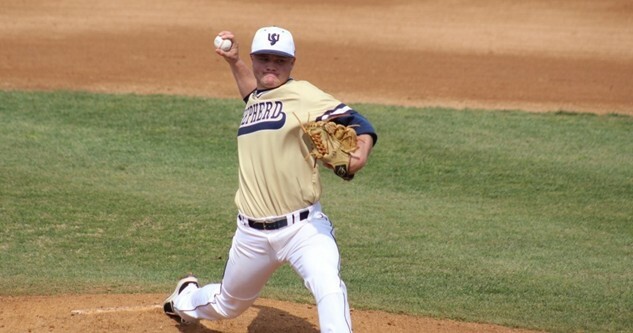 Sophomore starting pitcher AJ Stead (W, 5-5) had a tremendous outing for the Rams. Stead (6.0 IP, 6 H, 1 R, 1 ER, 0 BB, 3 SO) allowed a fair amount of baserunners, but did not let the pressure get to him, as a majority of the Fighting Falcons’ runners did not make it to home plate. The Rams will look to carry over the momentum of Sunday’s performance into the first round of the MEC Tournament in Beckley, West Virginia, on Thursday afternoon.